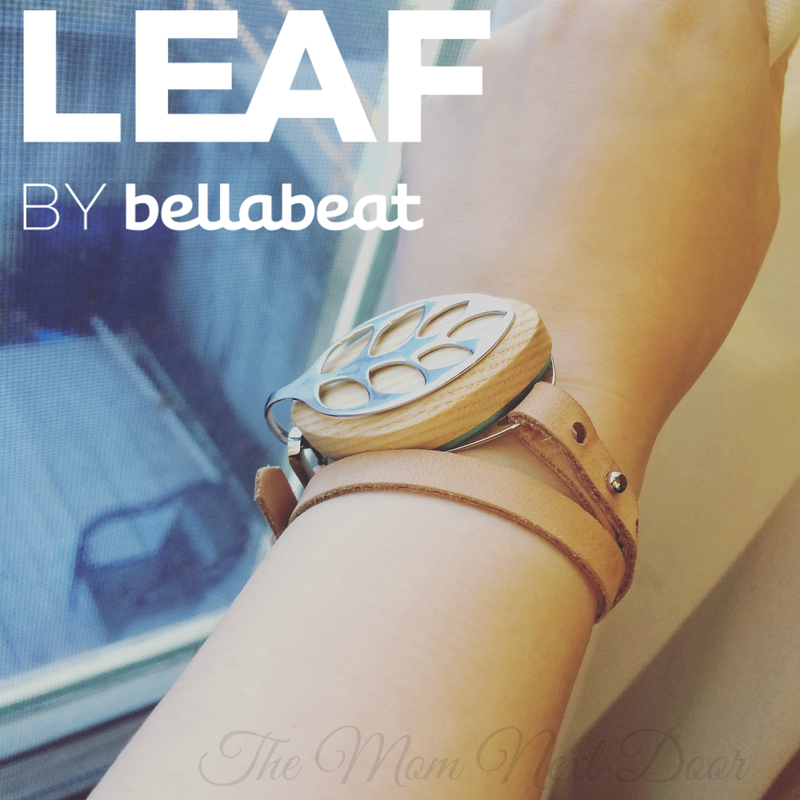 LEAF by Bellabeat is a fun and cute health tracker that doubles as a great fashion accessory! LEAF tracks your breathing, sleep, menstrual cycle, and daily activity which helps you pin point any areas of your physical health that you may need a little work on. For instance, since it's tracking your menstrual cycle and lets you know your fertile days as well, it's also tracking how many hours you sleep as well as the quality of your sleep. You'll be able to see if your quality of sleep is on the low side during certain periods of your cycle as well as the activity level during that time. I wish I could have gotten you guys an actual screenshot of my personal activity in the app, but alas, I got a new phone and have yet to figure out how to screenshot. The breathing tracker is great for those with anxiety or high levels of stress, like myself. The app and LEAF combine to monitor your deep breathing and prompt you when to exhale and inhale. Theres a really nice, relaxing voice with a circle on your screen that moves with your breaths. The deeper the breath you take, the wider the circle gets. You start of with practice sessions and can gradually work up to more advanced breathing techniques. It's recommended that you do the breathing techniques each day and let me tell you, it definitely helps me calm down and relax more before bed. Literally every part of this app and tracker works in conjunction with one another to help your overall health. You won't be able to sleep if you can't relax, right? The menstrual cycle tracker is also great in that it tells you when your fertile days are and when your projected start date for your period is. I was using a period tracker app for the last few years, and there are still parts of the period tracker that I like better. For instance, the old app I used, you could log intimate days as well as moods, pills or medications taken, and it you were feeling nauseous, had tender breasts, back pains, flow (light, medium, heavy), and even the cramp level (low, medium, painful). It would be great to be able to input those kinds of stats into the LEAF app as well, but who knows, they may include something similar in the future. As a matter of fact, I have had mine for a little while now and it's updated quite a few times since the LEAF has be on the market. Now let's talk about the activity tracker. I had to experiment with how to wear the leaf for this particular part of the app and tracker. The breathing portion of the app is best done with the leaf clipped to your pants at your hips as it monitors your breathing from your belly. This is spectacular as you get real good deep and relaxing breaths from your belly as opposed to your chest. For the activity tracker, you have to figure out what works best for you. I tried wearing mine clipped onto my shirt for a week, around my neck as a necklace for about two days, and recently, I've been wearing it as a bracelet. What I've found, and also what I've learned from other LEAF owners, is that the best way to wear the LEAF for activity tracking is around the wrist or as a necklace. For me, the bracelet is best. The days I wore it as a clip on my shirt, my activity was low even though I did a fair amount of activity. I started wearing it on my wrist and did the exact same things as I did the other days I wore it as a clip, and my activity count was way higher. The activity tracker counts your steps, tells you how many miles you've walked, and the calories you have burned. You can set goals for all of the features of the app, including the activity tracker, where you can set a goal of how many steps you want to achieve each day. You can always go back in and adjust these goals. For the sleep tracker, they suggest you wear it clipped to your shirt. Some nights I wear shirts with collars that are kind of at throat level so wearing my LEAF there is uncomfortable. Those nights I wear it on my wrist. I haven't really noticed a difference in the tracking, however, the newest update has added a way for you to input how you wore your LEAF while you slept on that day. For the sleep tracking, you can adjust the time you went to sleep and the time you woke up. The LEAF will try and predict those times based on your activity and whatnot, but a lot of times, for me, it was a little off. This is why they programmed it so you can adjust the times. You will then be able to see the quality of sleep for that particular night and see the times and how often you were in deep sleep vs. light sleep. The LEAF syncs up with the app quickly. All you have to do is press the sync symbol in the app, then it will prompt you to double tap your LEAF to sync it up. Your stats update immediately. Now, I do want to address a concern that I know others have had with this. Of course, we have all heard that putting our cell phone in our bra is dangerous due to the waves it gives off, so naturally, some would be worried about having the LEAF so close to their body when it has batteries in it and syncs to your phone. The only time the LEAF is synced up to your app is the 2 seconds you are syncing it by hand. It's very low frequency and has been tested and given a seal of approval that it is, indeed, safe to wear. 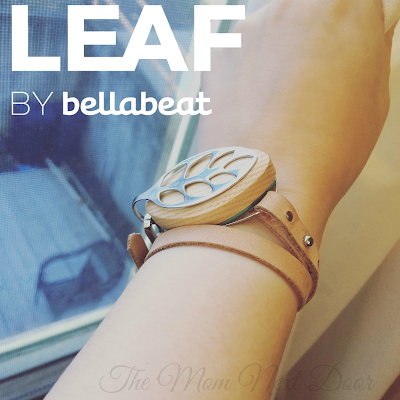 LEAF comes in many finishes and colors and you can get a bracelet and necklace along with it. The bracelet is leather, but I have noticed that mine is getting a little dirty from constant wear and I may have to replace it soon as it seems to also be stretching out a bit. Luckily, I found this really great shop on Etsy that sells LEAF accessories! 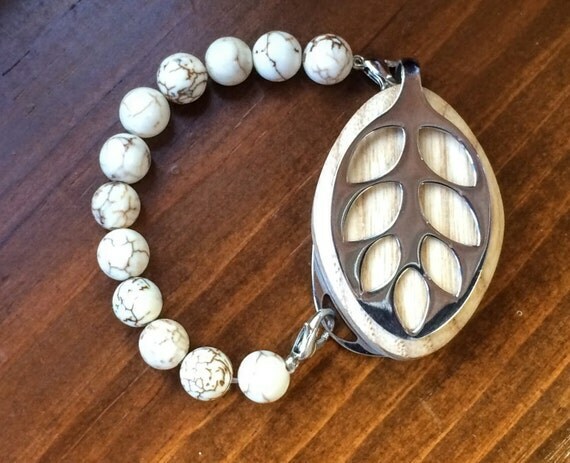 LadyLeafCo makes some really adorable bracelets that can be used with your leaf. 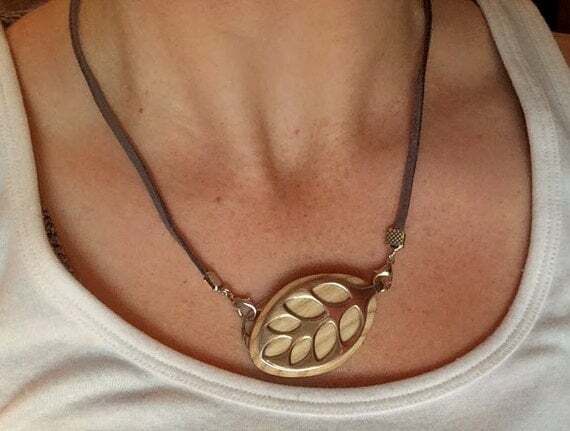 At the moment, they only have the one necklace piece, but I'm sure as the LEAF grows in popularity, so will the Etsy site (which btw, is in no way affiliated with bellabeat or LEAF). The battery lasts 6 months, so that's quite a lot of use! A few other features is the wake up alarm (which just makes the LEAF vibrate), an alarm to remind you to take vitamins or medication or important events, and even an inactivity alert, which you can adjust and set yourself. For example, I have mine set to vibrate after 3 hours of inactivity. Currently they have a few left in stock, but sometimes, once they sell our, there will be a wait list. You can visit their site and sign up to be emailed when more become available. Go to www.bellabeat.com to learn more.